Hi everybody! I'm Nikki Haller. 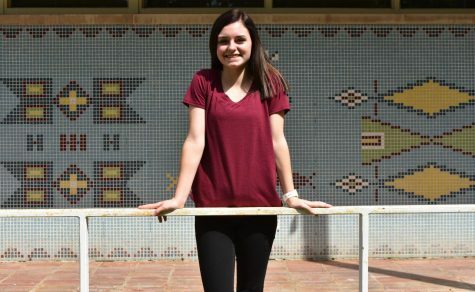 I am a sophomore at AHS and this is my first year writing for the SPUD. I am the 15 year old daughter of Tonya Haller and Mark Haller. I have a 21 year old brother, Cameron Nagaki, and a 6 year old sister, Leighton Haller. I am a manager for the AHS wrestling team, and I also run track. Typically, I try to keep myself busy with all the activities I involve myself with year-round. In my free time, I enjoy spending time with friends and family. After high school, I plan to further my education at Chadron State College or UNK. I would either like to study education, or nursing. When I am not at school, I love watching movies and I enjoy listening to music. I am very excited for my first year writing for the SPUD!